It has been a long road since my childhood days in the industrial suburbs of Cleveland, Ohio. Born to immigrant parents, refugees of the Second World War, I was the youngest of five children. Growing up on the shores of Northeastern Ohio, immersed in the Americana of the Mid-West, I had not a clue to the difference between stocks and bonds or bulls and bears. It was my studies at The Ohio State University in Columbus, Ohio that changed my life path and steered me to the bustling streets of Manhattan. My education (and fortitude) was put to the test early as I was propelled into the world of interest rates and institutional bond sales. Focusing primarily on government guaranteed instruments, I sold mortgage backed securities and jumbo CD's to nonprofit institutions, (such as credit unions, hospitals, endowments) located in Ohio, Illinois, Indiana, and Michigan. I can proudly boast that some of my very first institutional accounts are still my clients today, some 30 years later. In those days, in the mid 1980's, the traditional certification path of an investment professional was to obtain the Series 7 and the Series 63 Registration(s). I did so then, and some years later, in 1990, I received a Principal's Registration, a Series 24, which is an advanced examination sponsored by the FINRA. This license allowed me to gain autonomy in my workplace and it was the start of my work as a truly independent financial professional in that I could continue to work independently, for myself, for my clients. In the same year, 1990, I became registered through the State of Connecticut as a "Investment Advisor Representative" requiring me to act as a Fiduciary. In 2004, I formed The Advisers Trust, LLC, to provide practical, cost effective wealth management solutions to individuals, and their families; to small business owners, and their employees; with non-profit organizations, such as credit unions and endowments. Today we work with hundreds of families and institutions in various capacities. Our business has evolved over the decades, our services and client base expanded. What has never changed is our focus to provide cost-effective, tax efficient, wealth management services to the many relationships we are so fortunate, so humbled to have. Since January, 2005, our client's discretionary managed account results are calculated by state of the art MORNINGSTAR OFFICE software. Our client accounts, on the managed side, are held in custody at TD AMERITRADE INSTITUTIONAL SERVICES. Our client's financial plans, featuring Monte Carlo analysis, are being tracked using cutting edge software by MoneyGuidePro. All of this is guided by an investment professional with 30 years of actual hands-on, in-the-trenches experience – carrying the CFP® professional designation. We are extremely proud of our client's investment results over the years. We are humbled by their loyalties over the decades. Thank you to all – we look forward to many more decades to come. The change of seasons is one of the constants of life in New England. Nature’s demarcation of time signals different activities, events, food, and states of mind. The seasons dictate how we live. Markets too, like seasons, are ever changing, constantly shifting, progressing – and regressing. It is because of this fluidity that one considers a financial professional who embraces change, who helps their clientele to weather the cycles of the markets, who has a foundation of 30 years of investment experience. No matter what season the state of the market is in, Walter Pachniuk, CFP®, and The Advisers Trust, LLC of Newtown, CT possess qualities you'll need to help you succeed today, tomorrow, and beyond. CERTAINTY lies "where KNOWLEDGE meets EXPERIENCE"
Originating with the Greeks, and paralleling the dawn of western civilization, the fourth letter of the Greek alphabet, DELTA, has been a predominant expression for the better part of three millennia. The delta symbol, characterized by a triangle, represents "change" in ancient and modern mathematics. CHANGE and FOUNDATION, terms synonymous with the symbol delta, are what we at The Advisers Trust, LLC believe to be two central themes in investing. To be successful in a volatile world one must be able to adapt to change consistently while maintaining a strong foundation of the core values that one holds. We are here to help steady that course. Allyson Battle began her professional career working at IBM in an administrative capacity. 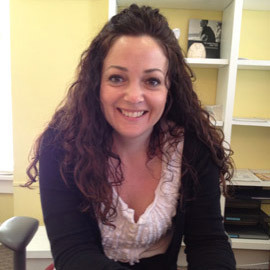 She joined The Advisers Trust, LLC in 2011 where she took on her current post as a Client Services Coordinator. In addition, she has recently taken on the responsibilities as Controller of the firm. She has recently completed her insurance programs and she is a licensed Accident and Health Insurance Agent who specializes in Medicare Insurance. Allyson is married and has two teen aged children. Allyson enjoys volunteering in various capacities in her community. She enjoys reading and relaxing at the beaches in Westerly, Rhode Island. Brendan Cavanaugh holds a Master's of Arts in Physical Education and Sport Pedagogy from Manhattanville College in Purchase, New York. Brendan has been working on and off at The Advisers Trust, LLC in a variety of capacities, for the past 10 years. Brendan's primary responsibility is supporting the oversight of accounts at The Advisers Trust, LLC. Previously, Brendan had been working as a process management and compliance consultant for a number of pharmaceutical companies located in the tri-state area. Brendan earned his B.S. in Criminal Justice from Roger Williams University where he was a member of the men's soccer program. Brendan continues to play soccer in men's leagues and is an avid New York sports fan. Ashka Patel holds an MBA from the University of Bridgeport and is an enrolled agent, a federally licensed tax practicioner. 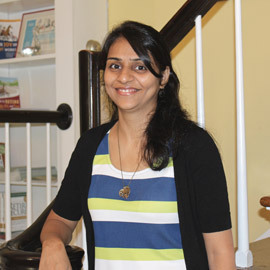 Born in Ahmedabad, India, Ashka emigrated to the US in August of 2006 in pursuit of her MBA. She worked full-time for 5 years at The Advisers Trust, LLC from 2007 thru 2011. Ashka lends her accounting expertise to The Advisers Trust in her role as a Tax Preparer and Tax Consultant. Currently she works as a securitization analyst at GE capital. She is married, has one daughter, enjoys travel, and spending time with friends. 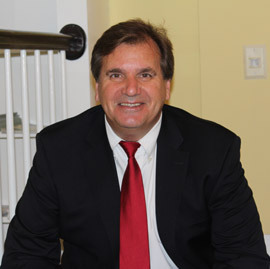 Matthew A. Pachniuk holds a Masters of Arts in Education from Fairfield University. 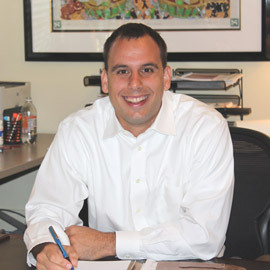 Matt has been working at The Advisers Trust, LLC in some capacity, for the better part of the last decade. He assists in the operations of The Advisers Trust, LLC and is the writer of the majority of the content on The Advisers Trust, LLC website. 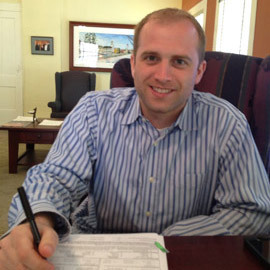 In addition, Matt works in an institutional sales role as Certificate of Deposit broker. Matt is passionate about international travel, soccer, and specifically Tottenham Hotspur football club. He received his B.A. in International Relations from Wheaton College in Norton, Massachusetts in 2007.